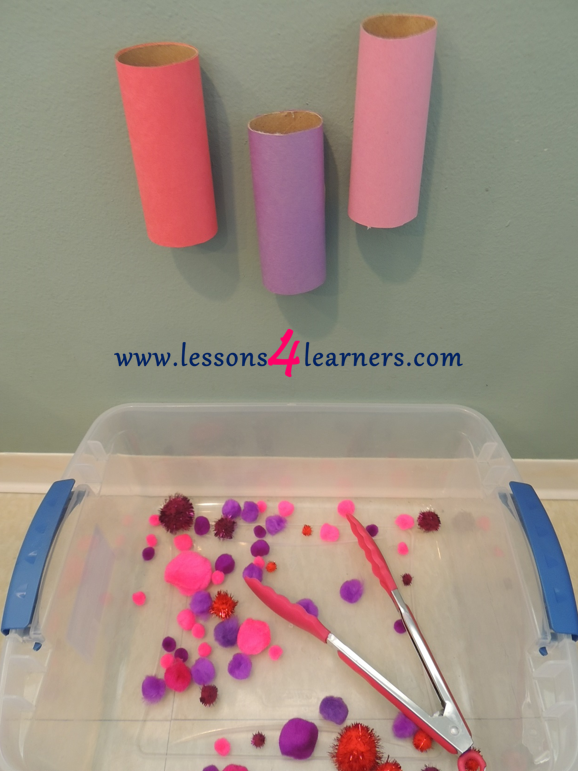 Prepare for the activity by painting the cardboard tubes. Allow to dry. Tape the tubes onto the wall at child height. Introduce the sorting station to the child.